Can something move forward by looking backwards? That is the question at the heart of Tales of Berseria. Following in the footsteps of the less than well-received Tales of Zestiria and Tales of Xillia 2, the Tales series was in a strange place. While still relatively popular with the fans, the series felt like it was moving in the wrong direction. Berseria aimed to change all that; however instead of innovating it reverted to form, for better and for worse. Like any JRPG a cast can make or break the game. No matter how compelling the story, if you do not enjoy spending time with the cast you likely won’t enjoy the game. In recent years Tales has had some amazing casts in Tales of the Abyss, good casts in Tales of Vesperia, and eminently forgettable casts such as in Tales of Graces F. I am happy to say Velvet and her crew of miscreants and outcasts is likely surpassed only by Abyss. Each character just oozes personality from the profoundly broken Velvet who is our berserk “Hero” on her path of revenge, to the surprisingly affable duo of Rokurou and Eizen. Each character brings a certain charm to the main group that makes them indispensable to the whole experience. Even Magilou, a character specifically designed to be annoying, is endearing in her own strange and sadistic way, especially once paired with an equally annoying sidekick. However as you play through the game something strikes you, the people you control aren’t very good people. I know it has been said before but it is true, it is fun to be bad. Velvet especially is a supremely fun and complex anti-hero that becomes only more so as the game goes on. In Velvet Namco Bandai made a strong, sensitive, dark, brooding, and emotionally deep protagonist that also reminds you at every turn, she’s a little evil. It was a hard path to walk but at the time of this writing Velvet is likely the best Tales protagonist. Apart from the main cast, Tales of Berseria’s expanded cas,t and especially those of its villains, is far improved from Zesteria. While that game would often provide no reason for fighting other than the oppositions’ vile ways, with Berseria you know why everyone is doing what they’re doing from the get go. It is these relationships with the villains that binds the story together, letting you understand why our cast is acting the way they do. The reasons they are willing to pay what could amount to be the ultimate price for them and the world. Furthermore as I alluded to above the price of victory for the party is steep as the villains of the game are the heroes of the world, their deaths could mean ruin. It is an interesting narrative technique that Namco Bandai puts to good use. Combat has long been one of the Tales series greatest assets, even in a lackluster title such as Tales of Graces F the combat can often save it from that pile of shame. Berseria luckily doesn’t need help in that regard as the combat is among the best in the series. More akin to a pure action game than an ARPG, Tales of Berseria’s fast paced battles and surprisingly deep systems are a treat every time you engage in battle. Especially when facing the more formidable opponents in the game that actually provide a challenge; especially on higher difficulties. It is clear the system found in Berseria is based off the battle system found in Zesteria however there are key improvements. Based around the “Soul System” your combos are as long or as short as your Soul Gauge allows, giving a strategic depth missing from more recent titles. Furthermore like in Tales of Graces F your artes each draw from the same pool of points forcing the choice to use either quick and linkable martial artes or heavy hitting magic artes. What is great about the system though is its versatility, where Zesteria was restrictive and limiting, Berseria is liberating. With a wide array of artes to choose from and a party each with a unique play style, Tales of Berseria’s combat is not one for getting old. As I was playing the game for the first few hours I could not get the thought out of my head that this plot felt... familiar. 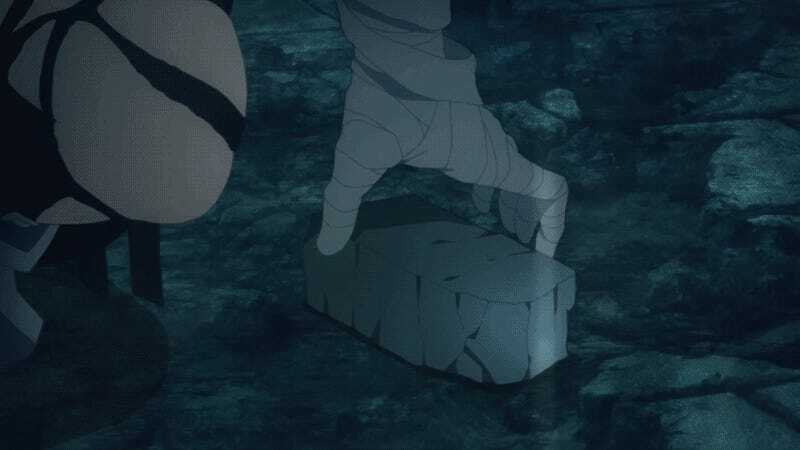 It is because in the early goings it has similarities to the seminal manga Berserk, where the similarities are just eerily similar and quite hard to ignore. The name Berseria is even rooted in the word “berserk”. Beyond that while I would not call the plot cliched, the game does rely on common narratives a seasoned consumer of fantasy will be familiar with. That said the story grows as you play it and provides a strong impetus to move forward, moving away from its more basic elements of revenge and redemption. This once again stems from the wonderful cast of characters as you develop a certain emotional resonance with them during the course of your journey. As it stands this is a Tales game I will revisit again. Collecting, Collecting, wait... More Collecting? At first this is a kind of god send with a surprisingly large and open world its also full of collectibles. For the compulsive collector this will either be a godsend or a curse as you will likely realize how little they actually matter. The maps of Tales of Berseria are filled to the brim with collectibles from Katz Spirits, to treasure chests, and various other curios and oddities. Though eventually you’ll come to realize there is actually very little point to these things save some cute and weird accessories. Beyond that is the Sailing mechanic. In real time you can send your Pirate Ship out to sail the seven seas and bring back booty for you. Mostly food and yet more collectibles, however if you’re lucky you will also be able to find wearable costumes and trinkets that call back to previous Tales games. While nothing too special, it’s a nice little diversion and nothing beats the feeling of getting that last item you just couldn’t seem to find. One of the things that instantly struck me as I was playing through Tales of Berseria was how similar in style and presentation it was to previous titles in the series most notably Tales of Xillia and Tales of Zestiria. While it is clear the design of the cities is supposed to invoke feelings of the games narrative sequel; the layout more closely hues to the design ethos of Xillia. Gone are the straight forward cities and more expansive vistas replaced by cities with enough nooks and crannies to hind a bounty of treasure but with fields that are surprisingly boring. Furthermore it is clear the Japan exclusive PlayStation 3 version of the game has held Berseria back. Compared to other anime style RPG’s like Omega Quintet and MegaDimension Neptunia VII the games maps are obviously limited in scope. The PS4 can certainly do more and while it is a good thing Tales is finally running at 1080p 60 Frames per Second it is becoming clearer by the entry the franchise needs to ditch the last generation and fully commit to the current hardware going forward. That includes a new engine which is really starting to show its age. Can something move forward by looking backwards? The answer in the case of Tales of Berseria is clearly yes. By invoking the best of its predecessors, by jettisoning its worst, Tales of Berseria has found itself one of the most satisfying Japanese Role Playing game experiences I have had in years. It never tries to be anything it can’t be but what it does try, it does surprisingly well. Tales of Berseria is a truly wonderful game and may yet be my favorite Tales game. 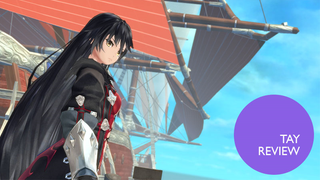 While its style and genre may not be for everyone, if you are a fan of action RPGs and Japanese RPGs in general I encourage you to check out Tales of Berseria. I whole heatedly guarantee you will not be disappointed by this emotional and worthwhile journey in a world populated by some of the best the series has to offer.